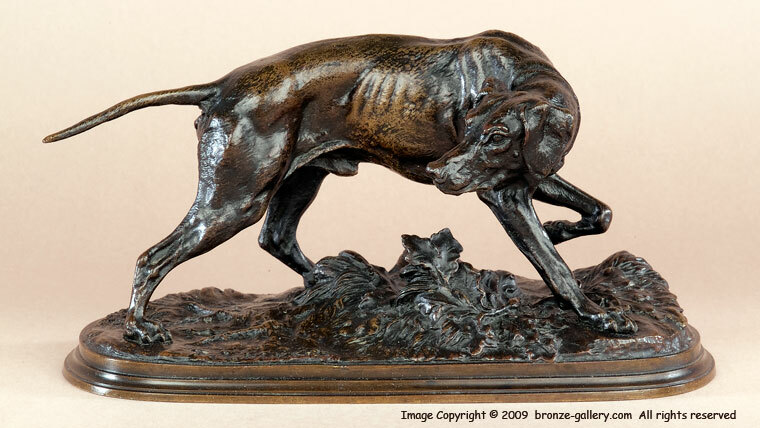 This beautifully modeled and finished bronze sculpture of a working Pointer dog is Pierre Jules Mene at his finest. 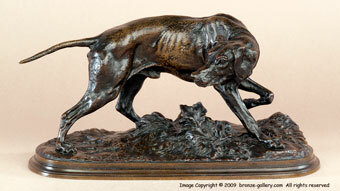 He is in his element with hunting dogs and this bronze is one of his more popular subjects. It is a superb composition of a hunting dog on point. He glances back at his owner seeming to say "here it is". This is an excellent opportunity to add an exceptional 19th century original bronze to your collection. Please be aware of fakes of this model, it is another one often copied over the years. The copies lack the fine details of the 19th century original. 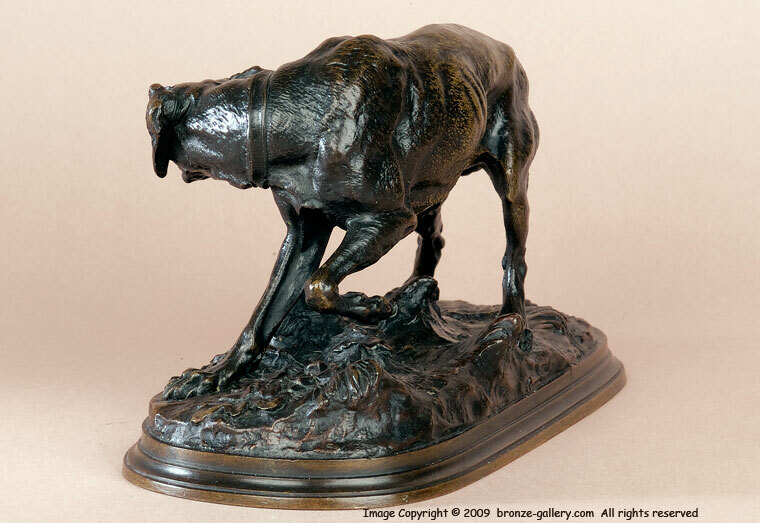 Our cast of this fine model is one of the best from Mene's own foundry, you can see the fur texture of the dog's coat and every toe nail on the dog's feet, his face is exquisite with the Pointer's intensity. Plus the oak leaves on the base are cast separately and attached, the bronze has a rich brown patina not found on the copies.